Remember us in our sadness. Look kindly on all who are suffering or facing any difficulty. 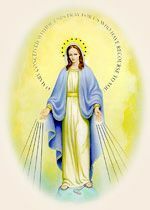 Holy Mother, please obtain for all of us hope and peace with justice.